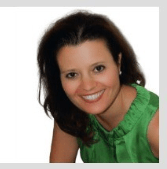 Helen works both as a Health and Business Coach. Fundamentally helping you take control over all. Working with Helen, expect to be inspired, entertained and made accountable, to stop hiding behind your excuses of why you can’t to why you can. Helen coaches you with very simple and practical strategies, where you will also respond with, “Oh that’s easy, I can do that”. How exciting!!! Your journey begins now.